Mrs. Maude Esther Brown was born on February 8,1917 in Antoine Arkansas to the late Robert Augustus and Mary Mindy Brooks. She recieved Jesus Christ as her personal Savior at a early age. She lived a full life of 94 years having given birth to three daughters Esther Jean Lowmack (deceased) Arcena Marie Tucker and LaVera Lowmack. 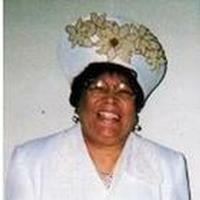 She also raised a grandson, Kenneth Eugene Brown. She Is preceded in death by her three brothers Ira, Dewey Samuel and Cordy Brooks. Funeral Services will be held at 2:00 pm Wesneday March 30, at the Mt. Cannan Baptist Church in Gurdon, Arkansas with the Rev. Jonnhy Harris Pastor and Eulogist.